You can choose from either a standard guest room or spacious suite. We have suites with two double beds or one double bed plus a pull out sofa bed. Ask for a room with a balcony overlooking Wapta Lake. 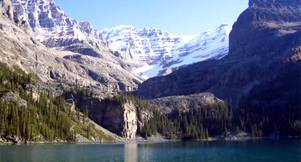 The Lodge is a short 10 minutes drive (17km) from the Lake Louise Ski Resort and Summer Sightseeing Gondola. You can do it all or do nothing, the choice is yours! Hike the Rocky Mountain Landscapes on the western slopes of the Continental Divide. 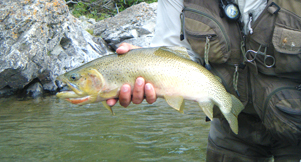 The perfect place for fishermen looking to experience pristine, and un-crowded mountain lakes and rivers.